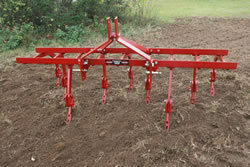 Easily adjustable for different row widths. 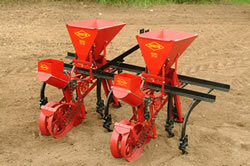 The TP-46 features a time tested design that is both simple to operate and to maintain. 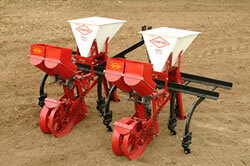 This TP-66 planter is identical to the TP-46 except that it features a polyethylene hopper for better corrosion resistance and sealed ball bearings on the presser wheel and disc assemblies. 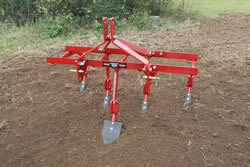 Sturdy and efficient, the Covington two-row Side Dresser mounts quickly and easily on a cultivator frame. 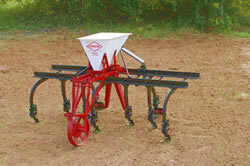 The TP-61 features a rotary type distributor which is independently ground driven for consistent flow of fertilizer. 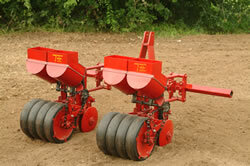 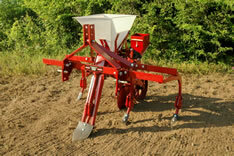 The TP-68 is a toolbar-mounted planter with parallel linkage flotation for following uneven terrain. 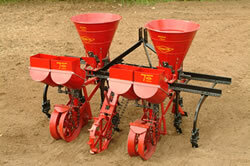 Our 1-Row Planting Unit matches the lasting quality of Covington's line of planters.